The game of chess is the one extracurricular activity that sits well with teenager Jake Carley. In fact, the shiny trophy he recently won at a state tournament is the first he’s ever received. The 13-year-old attends Academic and Behavior School East, one of two Harris County Department of Education schools which provides enriching, supportive learning for students with intellectual, development and behavioral disorders. Jake is diagnosed with depression and Asperger’s, a milder autism spectrum disorder. He is highly intelligent and enjoys sharing what he learns during his school day with his family. Mom Brandy Carley says his temper flared and stress levels rose when Jake tried sports like football and baseball. Chess makes him feel confident. HCDE’s special schools work with students with disabilities in a highly-structured environment with low student-to-teacher ratios of eight to one through individualized academic and behavior plans. Chess is introduced to students as an extracurricular activity during the school day and is offered through nonprofit Perfect TeamPlay, Inc.
Benefits of chess pair well with students attending the two AB campuses in east and west Houston. Increased attention span, improved social conduct, enhanced self-esteem and better classroom behavior are a few examples. AB West Principal Victor Keys notes that students practice following directions and accepting consequences and criticism, qualities which are important in the real world. Losing at anything was always an issue with Brandy’s son before he discovered chess, she explained. The game teaches him patience and gives him a sense of peace his mother sees as a sign of growth. 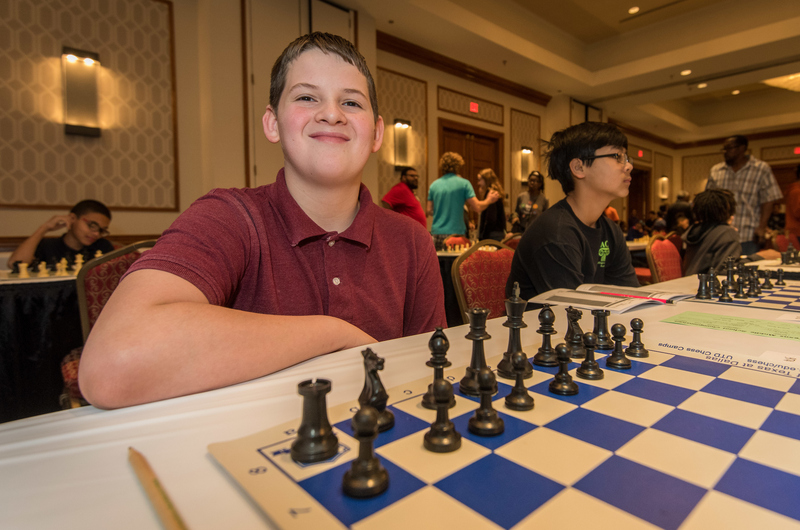 “We’ve noticed the skills our students gained through chess—time, attention, patience and strategy—have transferred into the classroom and throughout the school community,” said AB East Principal Mindy Robertson. Mom Carley confirms the positives.